Formerly known as "Woodland II" the Woodcreek has been an extremely popular plan. 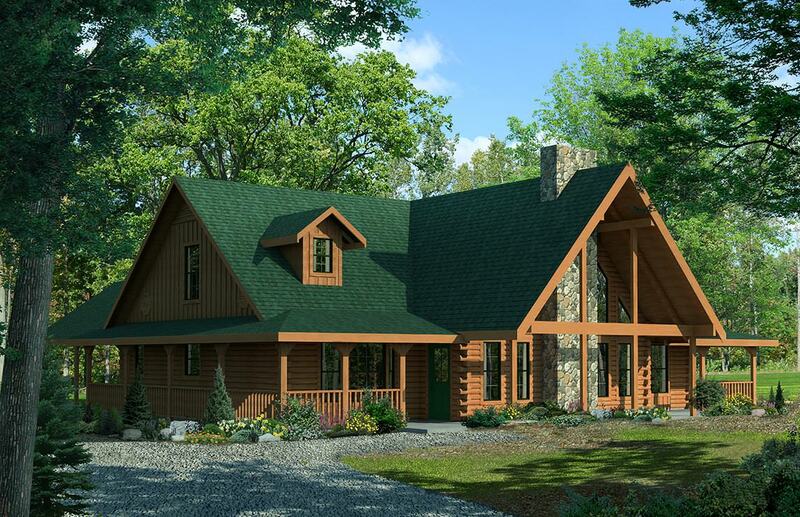 While bearing some resemblance to the Woodland, this plan manages to downsize somewhat while still retaining much of the character and essential spaces -- including 4 bedrooms and 4 baths -- of the larger plan. The fireplace is a striking feature of both the interior and exterior. The central family room is flanked to either side by bedrooms and baths, one being the master suite. Upstairs, two more bedrooms and baths linked by a catwalk spanning the family room and kitchen areas, with rails open both front and rear into the living spaces below. A utility room with easy access to an attached carport completes this extremely livable plan.